You have a grand idea, but you’re not sure how to move forward with your new blog. Should you start paying for hosting even though the content isn’t there yet and no one is coming to your site? Or should you go through the process of installing WordPress locally with a development environment like XAMPP just to test out a new plugin or theme? If you’d rather not spend the cash on an unfinished site, and you’re not keen on running a local WordPress install, you still have an option to create a WordPress test site with full functionality. It’s through a free, online sandbox service called Poopy.life. 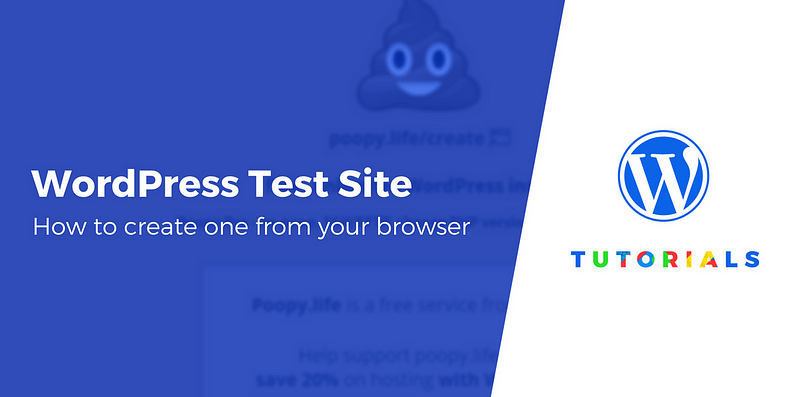 Despite the rather ridiculous name (chosen to keep commercial services from abusing the free service for fear of embarrassment), Poopy.life offers one of the easiest ways for all types of users to create a WordPress test site. And in this post, we’ll show you exactly how it works! 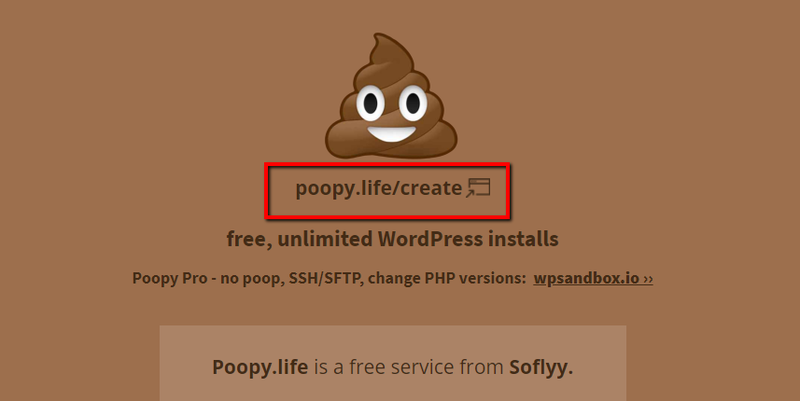 When should you use Poopy.life as your WordPress test site? And those are all great options if you want a more permanent development site and always work from the same computer. Require some technical knowledge, which makes them impractical for a casual user who just wants to test a few things. Take a couple minutes to create a new site, which can be frustrating if you need to create WordPress test sites often. Are tied to a single computer, which means that if you travel a lot, you might not be able to access them. Poopy.life, on the other hand, is cloud-based, dead simple, and only takes a couple seconds to spin up a new install. That makes it great for a temporary tool to rapidly test anything WordPress-related. Rather than installing software like all the local development methods linked above, you simply start by going to the Poopy.life website. The Poopy.life homepage is about as simple as they come, with a nice brown background to go along with the name, a Poop emoji as the logo, and a simple link to create your WordPress test site. To start the process, you click on the link that reads Poopy.life/create. The poop logo spins around for a bit, telling you the site is being created. And within seconds (not an exaggeration,) a page shows up that says you’re all done and you can continue to the installation. Click on the “all done! continue to your install” link to proceed. You’ll then see the regular WordPress dashboard. You can perform any of the actions you’d normally take. Feel free to install plugins or themes, write posts, change up settings…it’s full-featured. Towards the top of the dashboard, you’ll notice a box with your WordPress login credentials. If you’re using the WordPress test site for a few minutes, or hours, there’s no reason to remember the credentials. But if you’re planning to come back to your WordPress test site in the future, make sure to save the credentials for future use. If you find yourself creating WordPress test sites on a regular basis, Poopy.life has a feature that automatically sends the login information to the email of your choice. To do so, copy the following URL and paste it into your browser. Make sure to change youremail@email.com to your actual email address. 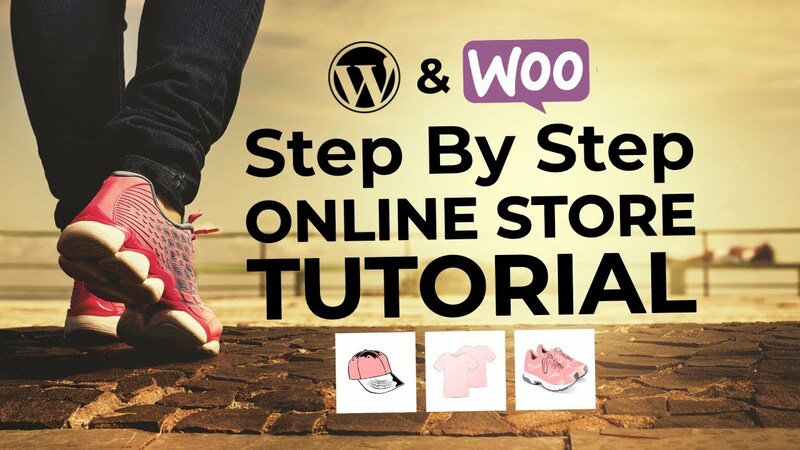 This method walks you through the exact same site creation steps you saw above. But now, the login credentials are sent to the inbox you specified. You might be asking yourself whether or not you can turn this WordPress test site into a real, hosted one. Absolutely! A site migration works just as it would if you were to move from an old host to a new one. 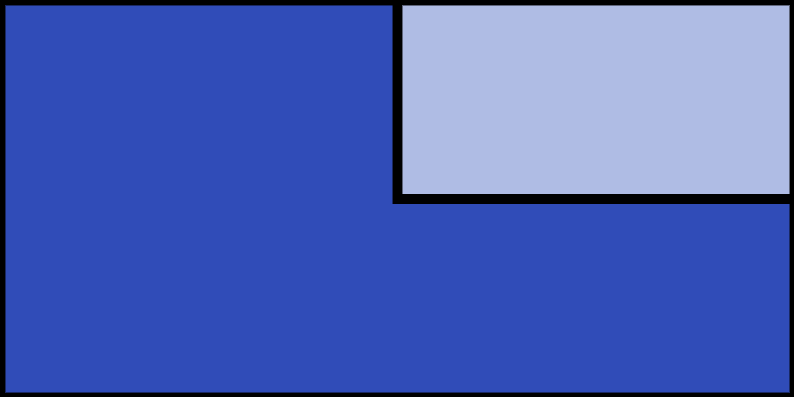 For example, you can even use the Duplicator plugin with a test site that you create using Poopy.life. On your test website dashboard, there’s also a link to the WP Engine website. 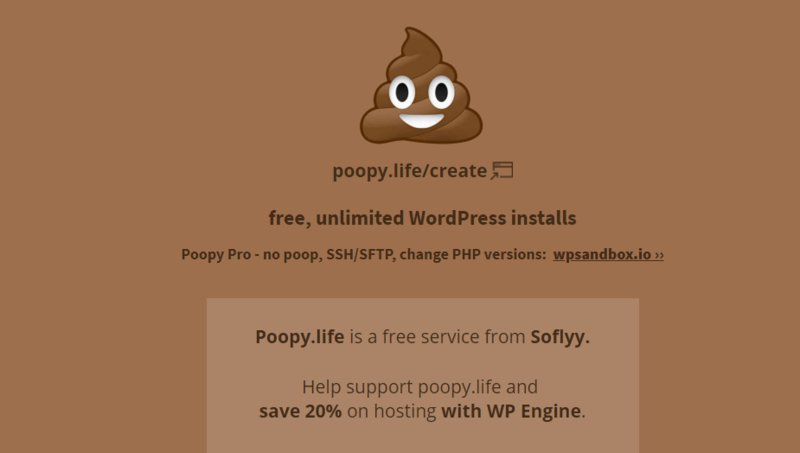 Poopy.life has this affiliate link to WP Engine for two reasons–it’s a WP Engine is a great web host, and the affiliate link is an easy way to support the development of Poopy.life. WPSandbox is sort of like the premium version of Poopy.life. In addition to removing the omnipresent poop branding, it also adds new features like expiration dates, easy duplication, and more. Although you’re free to keep using Poopy.life, you can move the site to WPSandbox for just $1, which might be a better solution if you need to share the demo site with clients or anyone else. The dashboard also has excellent tools for creating a copy of the install with a specific URL (if you’re OK with using a Poopy.life URL with clients). 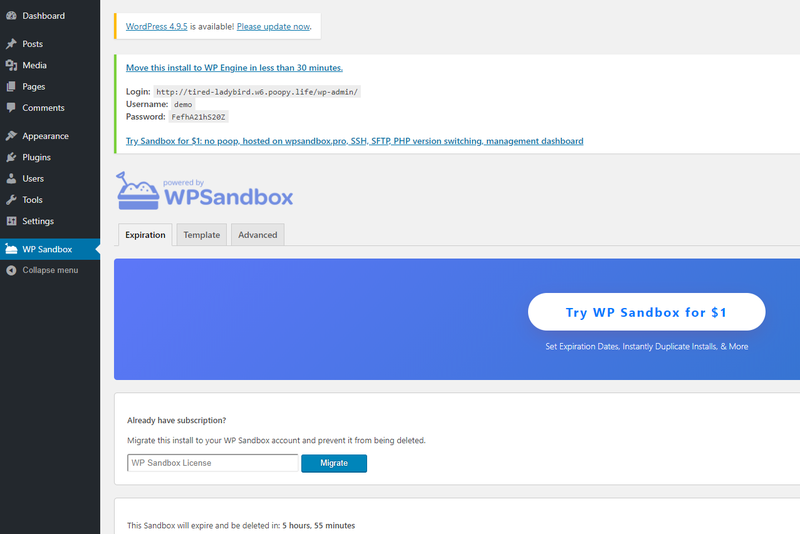 Finally, if you already have a subscription, the dashboard has a place to migrate your WordPress test site to WP Sandbox. Are you ready to live the Poopy.life? If the more complicated WordPress local development solutions overwhelm you, or if you’re just looking for a quick way to test out a new WordPress plugin or theme, Poopy.life is just about the simplest method that you’ll find. Beyond clicking a couple buttons, there’s literally no setup. And your site is full-featured so there’s no limitation on your testing. To get started, just head on over to Poopy.life. Have any other questions about how to use Poopy.life to create a WordPress test install? Let us know in the comments!